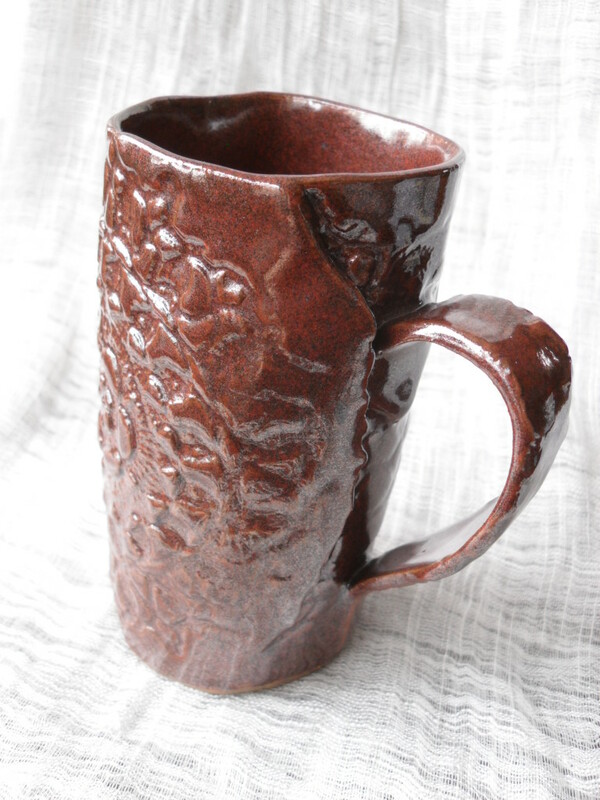 I’ve always been a mug fiend, but I’m so excited about these new mugs I’ve been making: the “embossed” series, made from clay textured with vintage doilies. I love their organic shapes. 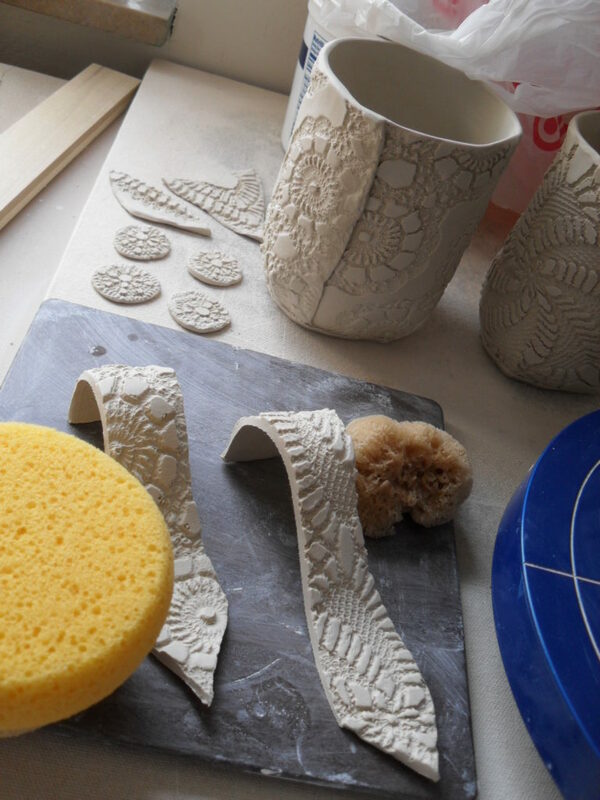 I purposefully do not smooth them into perfectly round cylinders; I like the wavy, slightly irregular look that the textured clay gives them. Of course there’s some refining to do, as these are my first few, but I’m still obsessed with this form. 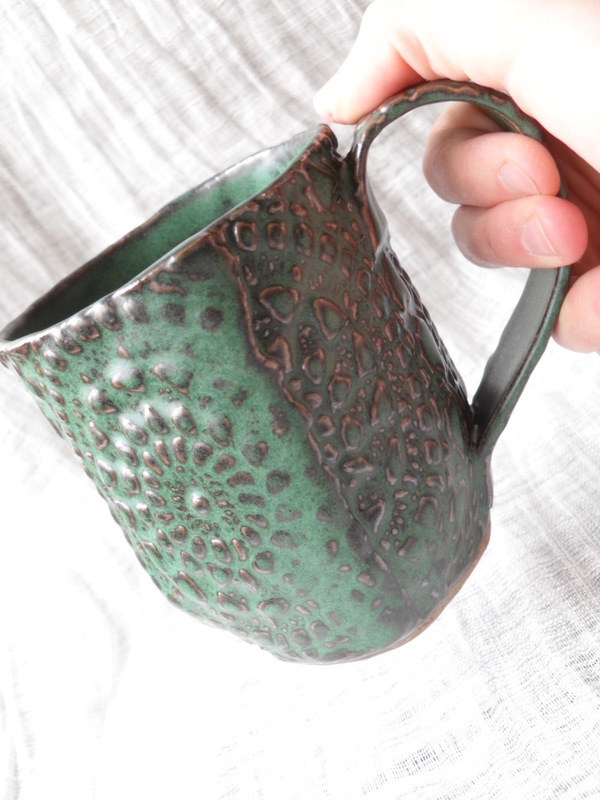 I love to make wheel-thrown, perfectly-smooth-and-symmetrical mugs as well, but the attractions are different (when my obsession runs in that direction for a while, I’m sure I’ll gush/blog about that too). 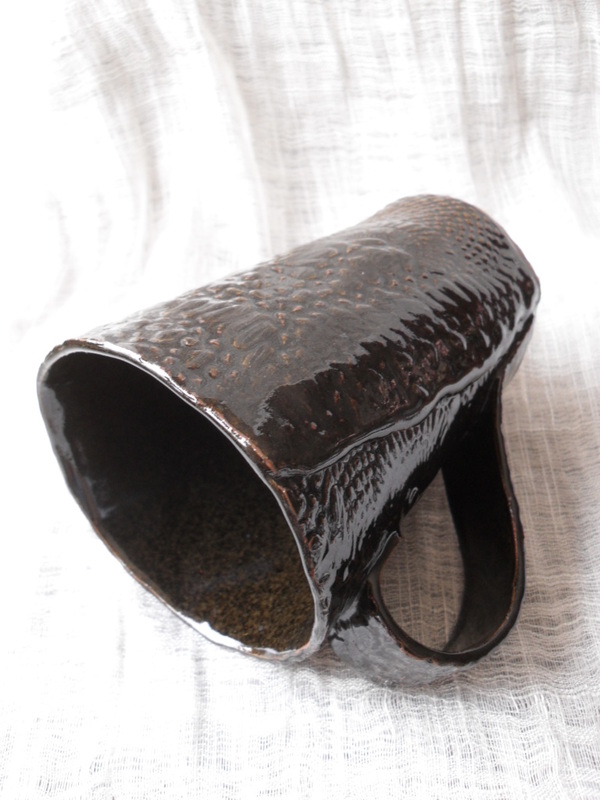 This entry was posted in Favorite Things, Pottery, Uncategorized. Bookmark the permalink.